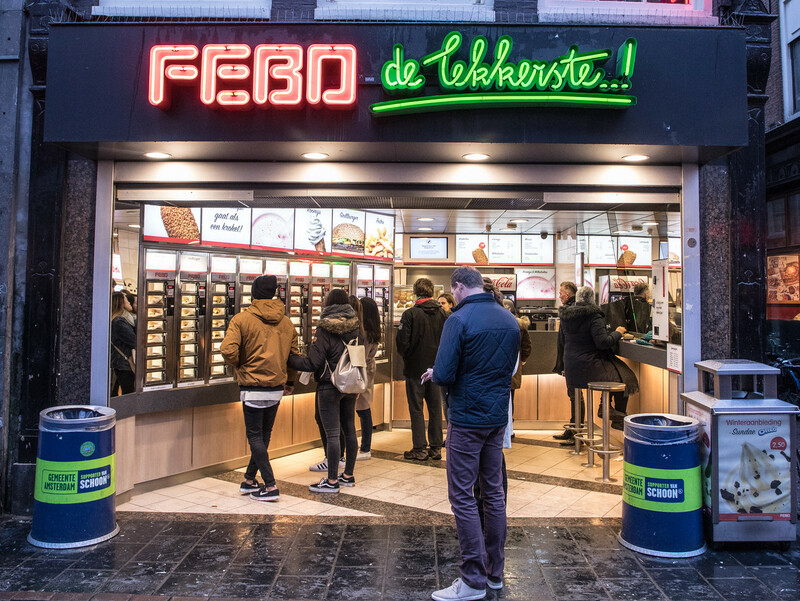 When visiting Amsterdam, if you are eating this far down on the culinary food chain, odds are you are stoned, drunk or starving. 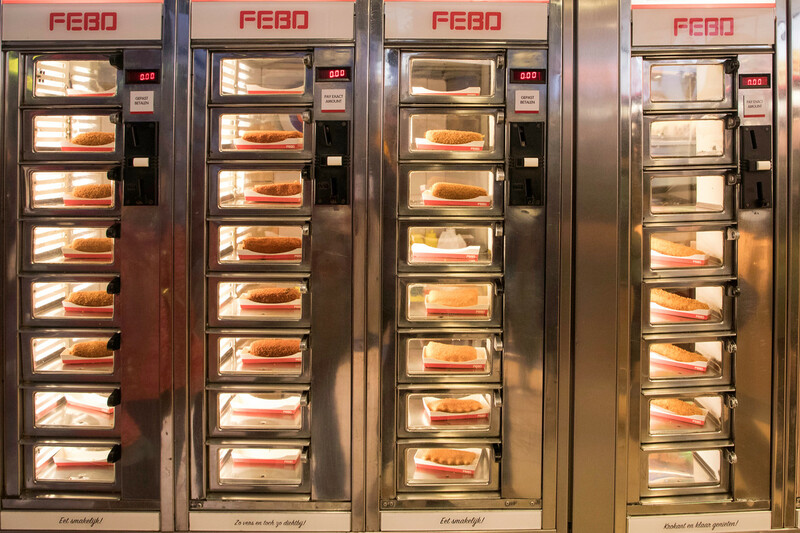 I was none of the above, but when we strolled by one of FEBOS’ many automated walls of fried food I was intrigued. It was cold and rainy, and I had a hankering for something warm and fried. I may travel the world, but I was raised in the American south and, for some reason, comfort food from a soulless stainless steel vending machine seemed somehow appealing. I had the “rundvleeskroket” or the Beef croquette. 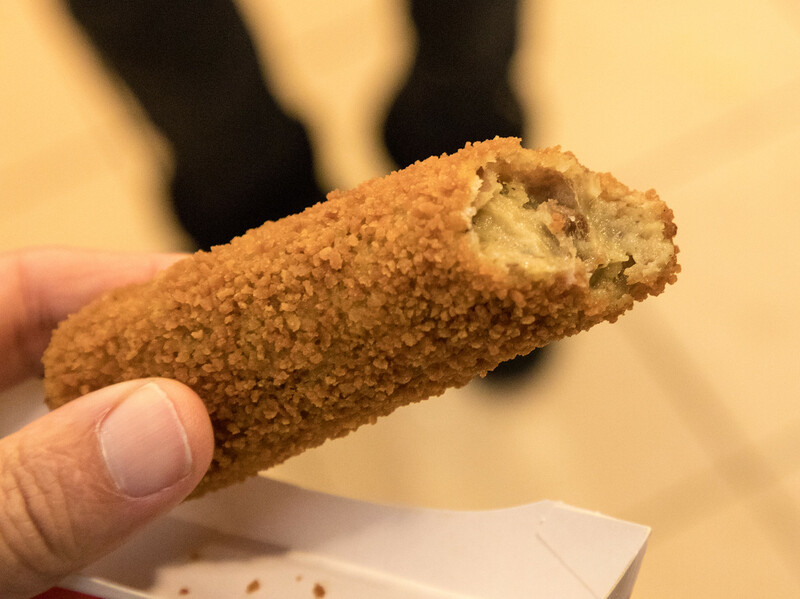 FEBO’s website (through Google Translate) describes it as a “Crispy pastry of creamy ragout, made from fresh broth and Dutch beef.” The coating is almost like Japanese panko breadcrumbs. You have to be careful when you bite into it, or the thick, starchy gravy will squirt out. There didn’t seem to be anything inside resembling meat, but the crunchy exterior and the warm filling made it, and I hate to admit it, almost tasty. 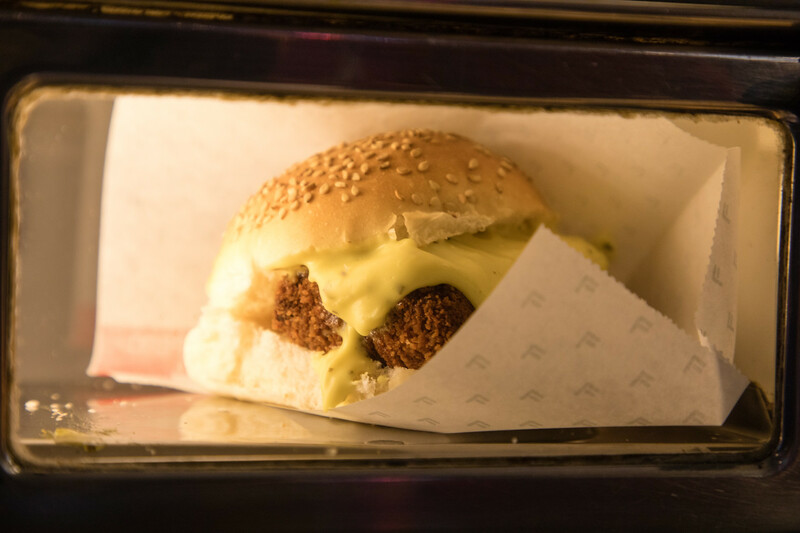 Not worth traveling for, but if you are in Amsterdam and you want to give it a try, why not?